Proud to be featured in the Republican Journal's "Midcoast Women" special supplement. Many women owned business make our region a very interesting place to live, work, play and Shop! Read the entire feature at this link. Each item consigned at Robin's Nest comes with a history. As they leave, a new history begins. We love seeing our furniture find new loving homes. 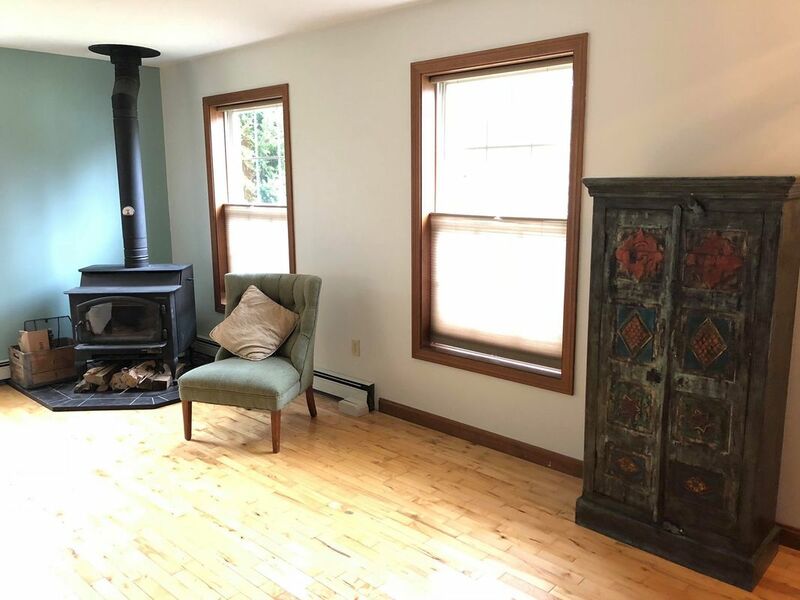 When Kristine, the local business owner of Wentworth Event Center came in during fall 2017, she mentioned she was redoing her home and needed some furniture. Kristine found a chair and cabinet. Kristine posted her find on Facebook and explained it would take a while to get her project done. We waited patiently for an update. Kristine is a local woman business owner like Patti. Her business is the Wentworth Event Center, a marvelous ocean view venue just down the road. East Belfast, Maine business neighbors. Patti owns and operates Robin's Nest Consignment. Kristine owns and operates the Wentworth Event Center. We were so excited to receive recent photos from Kristine. It sure looks like Kristine and her "assistant" had a lot to do! The finished project looks great! Kristine says, "Kristine says "Shopping at Robins Nest is awesome! The selection varies daily. The prices are reasonable. Supporting local businesses and consigners feels great!" Thank you Kristine for shopping with us. The writers at the local Pen Bay Beacon did a nice job of capturing the essence of Robin's Nest Consignment. where everything we consign is For the Community, By the Community. Karen, the Director of the Belfast Chamber is so creative! 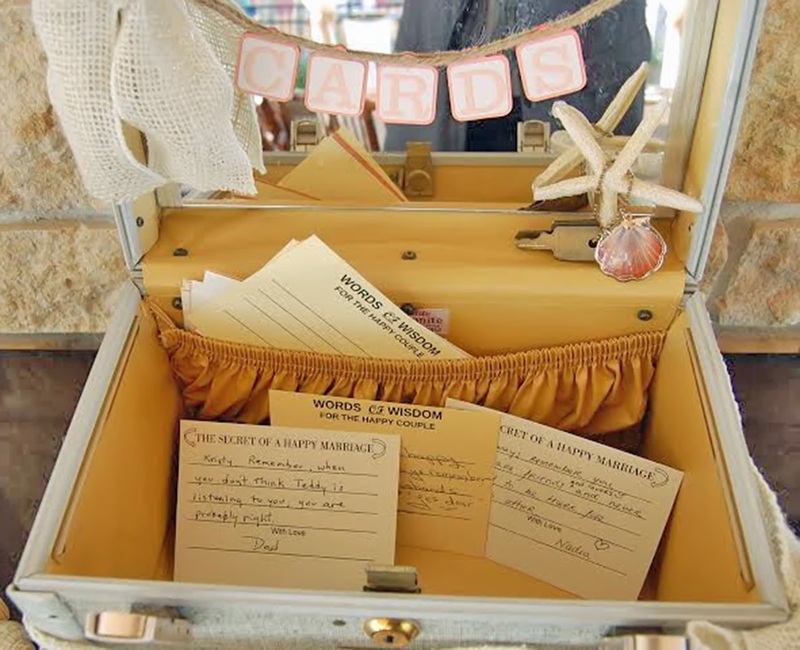 She purchased an vintage suitcase from the Robin's Nest Consignment in Belfast and went right to work decorating it for her daughter's wedding. 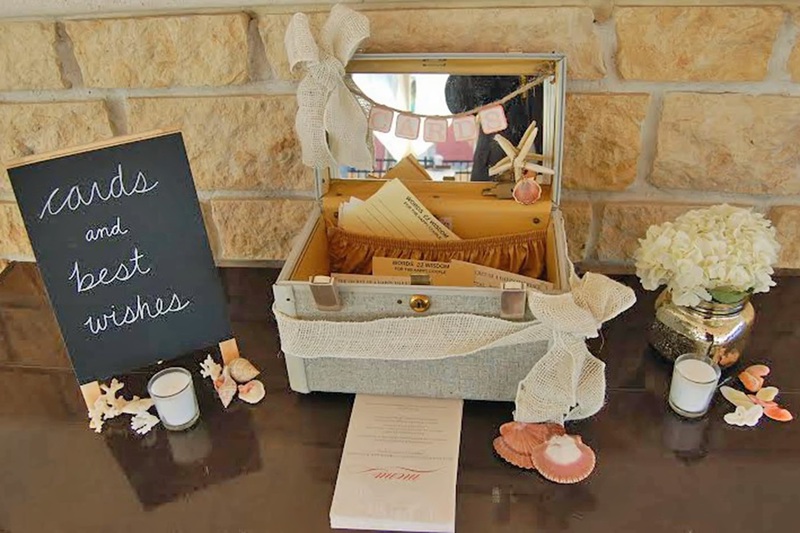 It is the perfect display item to hold cards and well wishes for the Bride and Groom! Look how amazing and unique it looks....Thanks for sending pictures our way Karen! Love the creativity. New to consignment? Check out the Robin's Nest Consignment at 169 Searsport Ave. in Belfast, ME. Consignment shopping is GREAT! With over 350 consignors, Robin's Nest Consignment offers a wonderful range of goods from antique to contemporary and everything in between. You never know what you will find in our store! We have items to fit every budget and every lifestyle. Maybe you are looking for that one missing piece or need several pieces to set up a new apartment, cottage, or home. Visit us soon to check out the ever-changing selection...you might just find that special piece(s) you have been looking for. We have great fashion accessories: colorful scarves to get us through the cold, snowy weather or how about a beautiful piece of jewelry to dress up that special sweater. We have a great selection of brooches, necklaces, bracelets...and more. We just checked in over 30 handbags!